Cabernet Franc is a red-wine grape originating in Bordeaux, but now very widely grown (worldwide, it is one of the twenty most-planted wine grapes). It is generally considered one of the dozen and a half or so of world-class red-wine grapes (those in boldface in the varietals list to the left of the page). Cabernet Franc is one of the traditional grapes used in the red-wine blends that characterize Bordeaux (blends known to the British as "claret"). Americans are used to wines that are bottled and marketed by varietal name (which now requires that the wine must be at least 75% of the named type); but in most of Europe, the tradition has been to produce named blends, with laws specifying—usually quite tightly—what percentages of what grapes may be used. The principal Bordeaux grapes are Cabernet Sauvignon, Merlot, and Cabernet Franc, though there are others. Cabernet Franc wines are considered softer and less assertive than Cabernet Sauvignon, and act to moderate Bordeaux blends. As a monovarietal, however, Cabernet Franc dominates along the Loire river, in the Chinon, Bourgueil, and Saumur-Champigny regions; but it is now also common from American wineries, from California to Virginia. Terms most frequently heard in connection with Cabernet Franc wines are "spicy" and "vegetal". The oft-remarked vegetative quality profoundly attracts some and profoundly repels others. Some vintners, especially in the New World, work at avoiding that quality in their wines, but not a few wine drinkers seek out French renditions to obtain it. Chacun à son goût. Factoid: Cabernet Franc is one of the parent grapes of Cabernet Sauvignon (the other being Sauvignon Blanc). "Cabernet Franc shares many of the same phenolic and aroma compounds as Cabernet Sauvignon but with some noticeable differences. Cabernet Franc tends to be more lightly pigmented and produces wines with the same level of intensity and richness. Cabernet Franc tends to have a more pronounced perfume with notes of raspberries, black currants, violets and graphite. It is often characterized by a green, vegetal strike that can range from leaves to green bell peppers. 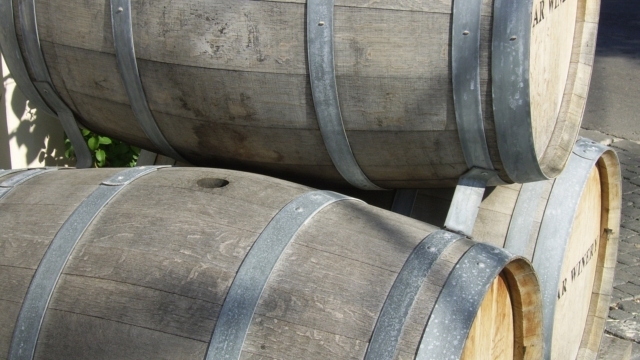 It has slightly less tannins than Cabernet Sauvignon and tends to produce a wine with a smoother mouthfeel. New World examples of Cabernet Franc tend to emphasize the fruit more." "I like the grape mainly for its olfactive charm, which is considerable. Along with the usual cherry-and-berry aromas, cabernet franc normally sends up a seductive whiff of herbs, spices, and violets. I get particularly weak-kneed about its sweet tobacco scent (perhaps because my childhood was spent in a cloud of cigar smoke). But the gratification isn't confined to the nose; in cooler climates, at least, cabernet franc yields pleasingly crisp, somewhat rustic wines that stand in welcome contrast to your garden-variety fruit bombs. " "Depending a great deal on vineyard practices, the flavor profile of Cabernet Franc may be both fruitier and sometimes more herbal or vegetative than Cabernet Sauvignon, although lighter in both color and softer in tannins. Over-cropping and underexposure each tend to accentuate the vegetative flavor elements. More aromatic than most Cabernet Sauvignon, typically somewhat spicy and often reminiscent of plums and especially violets, Cabernet Franc is more often used as a secondary or tertiary element in varietally-blended red wines, such as Bordeaux or Meritage, instead of as a stand-alone varietal bottling." 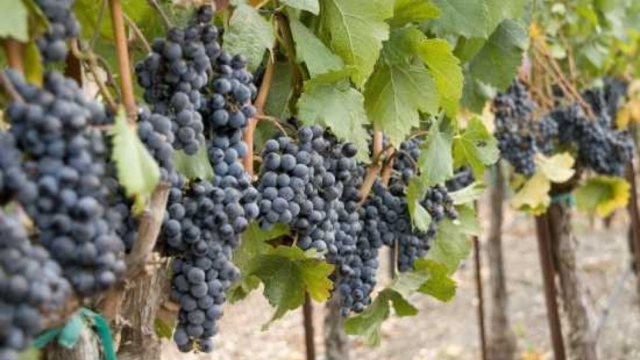 "An early ripening varietal, Cabernet Franc is known for making medium-bodied, tannic wines that have flavors of red fruits, purple flowers, green herbs and a distinct aroma of pencil shavings. " "As a varietal wine, it usually has a lighter body with less tannin and acid than Cabernet Sauvignon. As a result, it is often blended with this variety and occasionally with Merlot. Wines can have a pronounced vegetative aroma that is commonly associated with highly vigorous growing sites." "Happily, a new generation of California wine producers, and some old-timers, get what cab franc is all about and realize that what makes it beautiful is how it differs from cabernet sauvignon and merlot. The exceptional wines from the Loire Valley have no doubt influenced some of our brethren to try their hands at it, and I'm not only impressed but also excited." 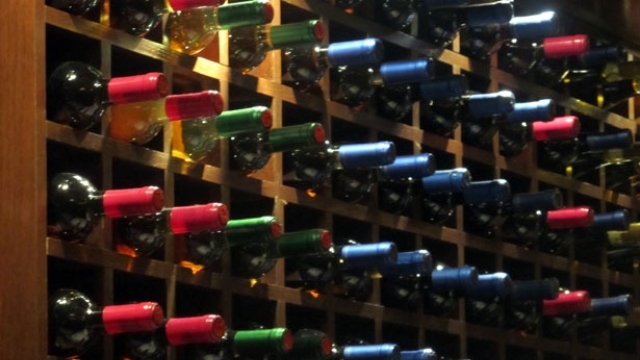 "Cabernet Franc wines are thinner, lighter and less acidic than Cabernet Sauvignons. They also may have a more herbal flavor, depending upon their cultivation. While Cabernet Sauvignon wines are lauded for their ability to age well, Cabernet Francs are best enjoyed young." "Cab Franc is blended into clarets and Bordeaux blends for precisely the same reasons: because it provides a stiff, dry backbone that keeps these famous wines upright and prevents them from getting too fruity (from the Merlot and Malbec) or too tannic (from the Cabernet Sauvignon) or too dry (from the Petit Verdot). In this case, Cab Franc is like the traffic cop or the disciplinarian – keeping order and everything else in line to ensure that the wine remains in its drinkable sweet spot. It’s what makes the wine wine." As would be expected for such a ubiquitous grape, styles and recommendations are all over the map. One first trying the type should start by sampling some Loire Valley versions; any of these should prove good specimens of their type. Domaine de Pallus Chinon "Les Pensées de Pallus"
♦ This Loire estate is one of the greatest wineries in the world for Cabernet Franc. . . This wine oozes Old Worldly goodness. It is Cab Franc from the Loire so it isn’t anything that will punch you in the teeth and steal your wallet. It has finesse and elegance. The nose is fresh and spicy, with definite, thudding aromatics. There is a mineral quality there too, perhaps as dirt and mud on the nose. You know the kind of mud you accidently slip on in the rain at rock concerts? That’s it. The palate is recently picked raspberries, aromatic spice and green olives. It leads to a mid-palate that is caressing teasing. There’s a subtlety to the lushness, but it is there and it makes you want more. The finish is of course long with a spicy satisfaction. As it opens, it gets softer, more like raspberry candy. ♦ Starts trim but opens nicely in the glass, revealing a firm mineral and herb spine that carries pure cherry and cassis fruit. A good mix of mineral and toast frames the finish. ♦ There could be a pencil shaving and a drop of single-malt scotch in this unusual wine. Though not for everyone, this is a special wine offered at a great price. . . Inside the bottle, you’ll find elegance, as well. I do not pick up on the notes of fruit other reviewers have written about, nor do three friends with whom I’ve shared this wine. To me, this wine is thoroughly mineral-driven except for some tart cherries that dissipate as the wine opens up. Setting aside mouthfeel for the moment, if you can imagine licking slate or a sun-warmed river rock – and enjoying it – that’s how this wine tastes to me. Rest assured: On the tongue, the wine is silky. A friend said he detected a hint of peat and, sure enough, it was there at the finish. ♦ [G]orgeous nose and palate of crushed, fresh red cherry, with a core of sweeter, baked cherry stone, uplifted by floral, peony notes and underscored by smoke and gravel. The tannins are gossamer fine, the wine subtly persistent, with a wonderful mineral freshness to the finish – not so much fruity acidity as a gently mouthcleansing wash of minerals. ♦ This Terroir oriented, unfiltered and unfined Chinon has a light, bright, ruby red color of medium intensity. The nose is clean, earthy with fresh raspberry and other red berry aromas and reveals classic Cabernet Franc tones with floral hints. The palate is quite juicy, elegant and, here again, reveals very bright, fresh red berries, complemented by peppery and slight tobacco leaf touches intermingled with slight, very integrated oaky notes. Overall lovely, balanced and juicy with a long earthy and lingering finish. Quite young and age worthy, the tannins will definitely bring structure to the fruit within the next few years to come and the acidity should this wine in line. Lovely. Not as opulent as other Chinon reds that I've tasted lately but overall and in my opinion, a very well made, earthy Cabernet Franc wine. ♦ Aromas of blackberry, dark cherry, olive and tobacco make this worth spending some time with your nose in the glass. The palate is ripe and has some flesh behind it, perfectly balanced and generous with its smooth tannins. It’s simply effortless in the mouth and finishes with a chalky rustic feel. Overall a cabernet franc that others should look to for an example of what makes this grape so seductive. 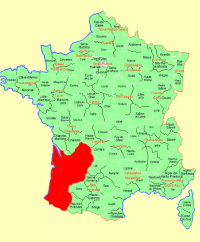 Domaine Filliatreau Saumur-Champigny "La Grande Vignolle"
♦ The Loire Valley remains a bargain-hunter’s paradise, and Saumur-Champigny is fertile ground for lovers of cabernet franc. The 2009 Grande Vignolle from Filliatreau is rich and mouth-filling, with ripe flavors of red fruit, as befitting the warm vintage. But the fruit is laced with an undercurrent of minerality that kept drawing me back for more. ♦ This is great wine! Right out of the wine fridge, it is all about cool dark fruit flavors and floral aromatics. As the wine warms, the iron and metal minerality takes over the bass line and the nose begins to show graphite and tobacco tones. Perfectly balanced and completely delicious, there is no shame in drinking this all up now. But the quiet old vine intensity, the substance that emerges in the mid-palate, the strong acidity...these things make me determined to put a couple bottles away for a few years. ♦ [The wine] started with a musky scent and with each sip, offered tangy, fruity acidity reminiscent of red currants that lingered. A pronounced minerality in this wine supported the fruity notes, and while the alcohol and firm tannins were in check, some tasters found the tart acidity overpowering. The answer: serve it with food! ♦ [A] deeply coloured red wine laced with intense berry aromas and a soft, fine finish. This is a good example of what this small appellation in the Loire Valley is capable of producing. ♦ Dark in color the wine has a gorgeous berry perfume with strawberry and raspberry intermingled with a floral undertone and a faint tinge of spice. The wine is really fruity with floral accents and a faint touch of black pepper. It is balanced and has an alcohol content of 12.5%. This is a delicious wine and a real bargain. ♦ Light-bodied with wisps of berries and smoke. ♦ This expression of cabernet franc from the Loire Valley is fresh and yummy with violet and white pepper notes. ♦ Youthful [2004 in 2008] but so powerful, with all the structure for 10+ years in the cellar. ♦ Dark fruits and violet aromas with amazing acidity and balanced structure kept this wine from being too big for the meal. Bernard Baudry Chinon "Les Granges"
♦ Beautiful, exciting nose… Tastes very good now indeed. Matthieu says that at the beginning this wine was a bit tight, not so open and pleasant. The substance is not that rich but nice wine. 11,5% in alcohol, they chaptalized for 0,5 % because it was a bit to low otherwise (2013 was a cold year). Very easy drinking as is. ♦ From one of the best producers in Chinon, a delicious light wine with crunchy redcurrant fruits and a piquant edge. ♦ This is a wine that rewards your attention to it and your effort to dissect its aromas of brandied tart cherry, violet and rose petal. In the glass: a mixture of tart cherry that develops smoky and dusty notes of violet, dark rose, earthy notes and dried herbs. This is “peoples’ wine,” but elevated tastefully to be a companion to roast chicken, charcuterie, grilled lamb, beef stew and simple foods and cheese. 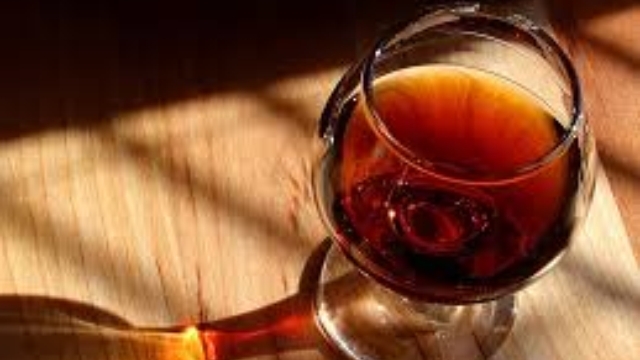 ♦ [This] is considered a “drink it now” wine, it will not improve with aging… The color is plum red with a black center. The nose is rich, ripe blackberry and black cherry, along with milk chocolate. The Les Granges is a sleek wine, with excellent length, smooth tannins and balanced acidity. It tastes of raspberry, strawberry along with a firm slap of minerality. With many American wines, the fruit flavors are the dominant feature of the wine,but here, while the flavors are delicious, the textures, the structure and the balance are equal in importance to the flavor. The finish is full and very long… If you read wine reviews and are not really sure what the writer is talking about when they reference structure texture and balance, sample a wine such as the Les Granges and it will become clear. It is not simply a tasty drink, it is the essence of a well made wine. Charles Joguet Chinon "Les Petites Roches"
♦ It comes in at 13% alcohol and offers lovely aromatics of violet, mint, and poblano. Some Chinon can go beyond savory to vegetal. This wine, from the ripe 2009 vintage, does not. It does possess Franc’s lovely savory character, here conveying a strong sense of earthiness and soil character to the black fruit. I have "vibrant" underlined and circled in my note (the underline means really vibrant; the circle means really really vibrant). ♦ In the glass, such a beautiful pure color of red and blue hues. On the nose, wonderful perfumed and sweet aromas of berries, lavendar and spice. In the mouth, you immediately sense how lively and refreshing the acidity of the wine is, as the fruit flavors seem to come alive. I taste red and blue fruits like blueberries, blackberries, strawberries and cherries. The wine is medium-bodied and has just enough tannins to keep the stuffing in place, and they’re also soft enough so one can enjoy this bottling early in its life. ♦ In the mouth, this wine is tart, bitter with a Sangiovese-like similarity but not. It is short on the finish. I think (NW) paid around $17 for this. If you are not experienced with wines from the Chinon which is located in the heart of the Loire, this would be a fun wine to try. ♦ Very tight. Reduced nose and palate. Good weight and flesh but needs time for the reduction to (hopefully) blow off. Quite firm acidity to finish. A modern, clean expression of Chinon, but a bit soulless. ♦ Very dark reddish-purple color, unusually inky for a Loire Cabernet Franc. Earthy nuances of red clay and dust dominate the first sniff, but abundant red-berry fruit quickly follows the mineral opening. Medium-bodied, full in flavor; snappy red fruit and soft but substantial tannins shaped by a surprising 14% alcohol make this an impressive red wine but a rather idiosyncratic Chinon. ♦ The wine was earthy, peppery, with smooth tannins and a quick finish that reminded me of black currants. I could almost taste the heat that had baked the grapes in a late French afternoon. Curiously, some of the mature scents from the nose didn't carry over to the palate - it didn't have anything mushroomy or "forest floor" about it. ♦ Cigarettes and cherry juice on the nose--nice typicity. Acidic on the palate with very linear flavors. Not round, light body. Punchy fruit with tobacco and minerality. Decent finish, no heat, fuzzy but not oppressive tannins. Very good wine, but not a ton of depth or layering and a bit tight on the nose. Still, spot on as an entry level Chinon and a pizza wine. Honest wine with a real sense of place and varietal expression. Domaine de la Pépière "La Pépiè"
♦ A darker color than I might have expected from a country Loire red, the nose is almost bubblegummy, to the point that I might initially have mistaken it for a Beaujolais. Light on the palate, with more of that cherry/ bubblegum flavor, there’s an impressive initial grip, and only the faintest hint of the bell peppers or pencil shavings or tobacco notes I’d expect from elsewhere in the Loire. But there’s depth to this that becomes apparent as the wine opens up, and it’s a cheerful little beast, too – so while not truly typical of Cabernet Franc, least not as I know it, there’s no question but that it’s an enjoyable, easy and rewarding summer wine. ♦ Delicious ans easy to drink. I love the reds of La Pépière, they're under the radar. Without getting into risible prices, the Philippe Alliet Chinon Coteau de Noiré makes a strong case for a nice "splurge" Cab Franc.